Car insurance rates are set so that the insurer can earn a profit without alienating potential insurance customers in the process. To sum up a rather complicated relationship, the riskier the insurance customer, the higher the car insurance rates to ensure that the insurer can earn a profit. As such, if you have an interest in learning how to lower car insurance rates, you need to learn how to lower your risk of getting into an incident that is covered by your insurance policy. Be careful out on the road because each incident can result in a higher premium. Insurers will check your driving record, meaning that you’re in big trouble if you have either been in a car accident or received a major traffic violation. Bear in mind that not all insurers check back the same number of years, meaning that you may be able to get a better car insurance rate by going to the right insurer if your problems are far enough in the past. 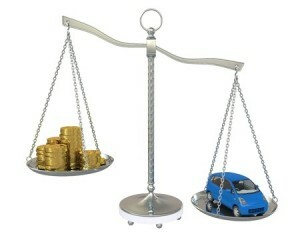 Although, rule of thumb should be around 3 years of clean driving to achieve the lowest possible rate. The more that you use your car, the higher the chances that you’ll get into a car accident. As a result, some insurers are willing to offer you lower car insurance rates if you’re willing to drive less kilometers. Pay attention to how each insurer calculates rates in respect to kilometers driven a year. Overall, your rate will depend on average distance driven each day, and each year. If your car insurance covers the costs of vehicle theft, then the solution to how to lower car insurance rates can be as simple as taking steps to protect against such contingencies. For example, having a deterrent installed in your car is an excellent method to reduce the risk of theft, and can often qualify for a discount from your insurance company. Of course, there are other solutions to the problem of how to lower car insurance rates. One of the simplest solutions to said problem is to purchase less coverage. Examples range from raising your deductible to removing optional add-on services for which you feel are unnecessary. As a rule, you should make sure to never have more car insurance than is needed to protect the value of your car. One solution to the problem of how to lower car insurance rates that people fail to realize is raising your credit score. The higher your credit score, the more that businesses trust you to live up to your contractual obligations. If you have a poor credit score, continue to use credit and make sure to make your monthly payments on time. Finally, be sure to shop around if you’re interested in how to lower car insurance rates. Not all insurers offer the same coverage for the same costs, meaning that you can find a better price with sufficient searching. Using a comparison tool such as the ARC insurance calculator will help you better understand what your rates should be. For more information on how to lower car insurance rates and other car insurance-related issues, please contact us to speak with one of our representatives at your earliest convenience. Our expertise will help you solve the problem of how to lower car insurance rates as efficiently and as effectively as possible.